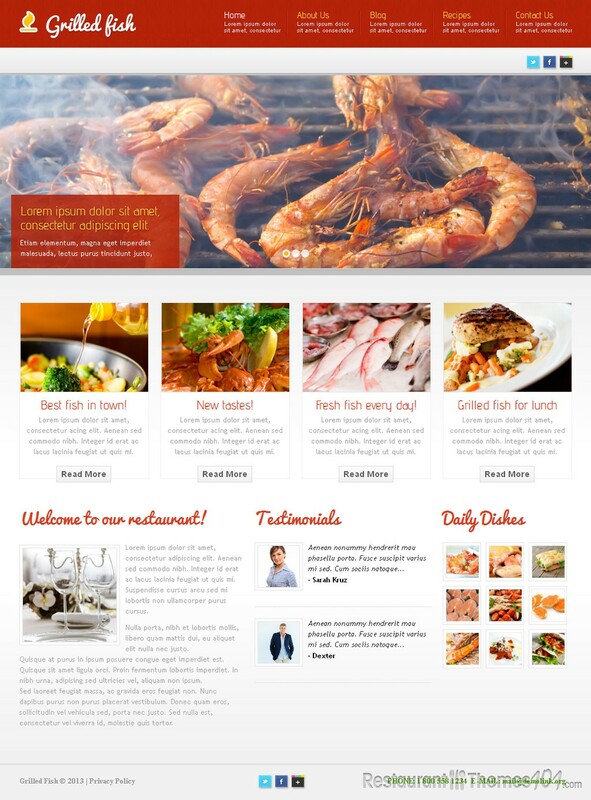 Grilled Fish is a seafood restaurant theme for WordPress developed by Solomia. 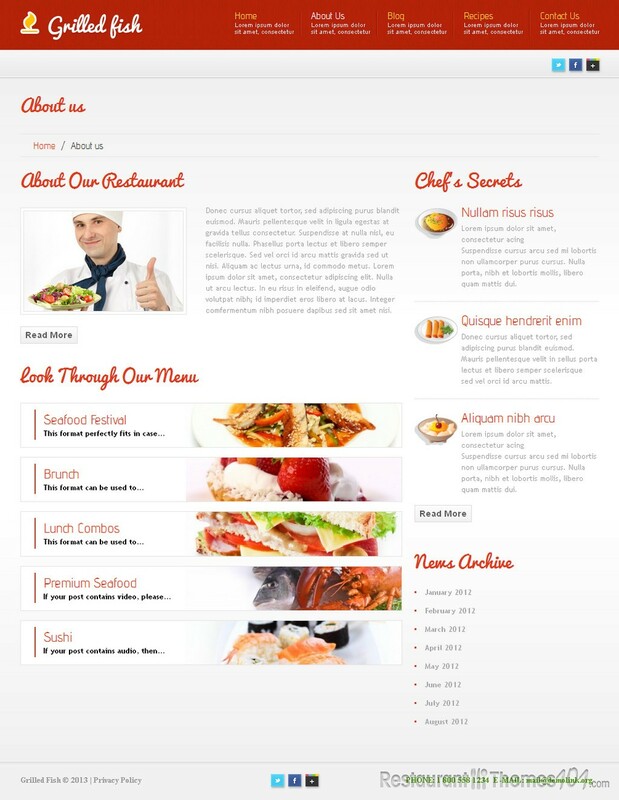 It is featured on Template Monster as a responsive restaurant WordPress theme. The theme has a 2 column layout with a lot of space for your content. The homepage features a huge slider and investing in some high quality photos to add them to your homepage and have them enhance this cool slider is surely a smart thing to do for your website. It will grab the attention of your visitors to the most important thing – your delicious food. The layout is very modern and compact with light, fresh set of colors: white, light grey and red. You will be able to add as many posts as you want to and enrich them with photos and videos to make them more appealing to your readers. Write full recipes with detailed instructions, add photos of the preparation, or represent your restaurant in a post by writing anything you would like your visitors to know about your place. 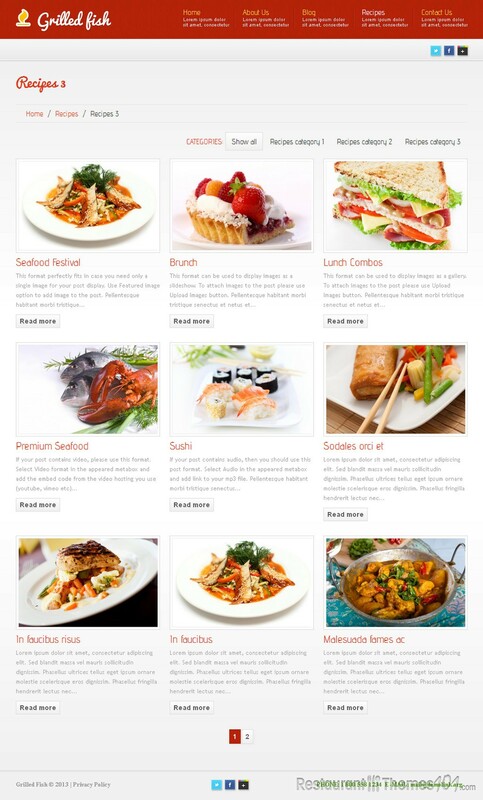 You can have your posts featured on your homepage along with thumbnail photos and some teaser text, and by clicking them, your visitors will be taken directly to a page where you can explain everything about your delicacies in details, along with photos and videos. This theme allows you to show testimonials of your satisfied customers and have your visitors read what other people said about your place – it is a great way to attract many new customers. Social integration was not left behind, and you will be able to connect your website to Twitter, Pinterest, Facebook and Google+. The contact page features Google Maps so you can be sure all of your visitors will have the exact location of your restaurant. The theme has a great admin panel, and it was built with Cherry Framework and Bootstrap. 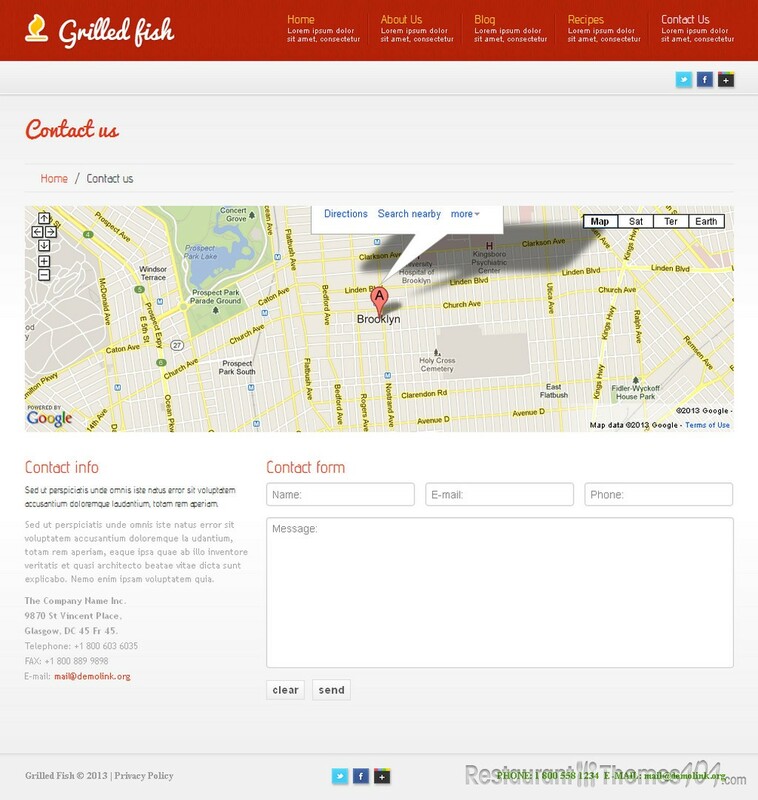 The Grilled Fish theme is completely responsive and it will look great on any screen size or resolution.